Various definitions of product lifecycle management or PLM have been issued over the years but basically: “product lifecycle management is the process of managing the entire lifecycle of a product from inception, through engineering design and manufacture, to service and disposal of manufactured products. PLM integrates people, data, processes and business systems and provides a product information backbone for companies and their extended enterprise. “In recent years, great emphasis has been put on disposal of a product after its service life has been met. How to get rid of a product or component is extremely important. Disposal methodology is covered by RoHS standards for the European Community. If you sell into the EU, you will have to designate proper disposal. Dumping in a landfill is no longer appropriate. Since this course deals with the application of PLM to industry, we will now look at various industry definitions. Hopefully, you can see that PLM deals with methodologies from “white napkin design to landfill disposal”. Please note, documentation is critical to all aspects of PLM and good document production, storage and retrieval is extremely important to the overall process. We are talking about CAD, CAM, CAE, DFSS, laboratory testing notes, etc. In other words, “the whole nine yards of product life”. If you work in a company with ISO certification, PLM is a great method to insure retaining that certification. Introduction: When the product is brought into the market. In this stage, there’s heavy marketing activity, product promotion and the product is put into limited outlets in a few channels for distribution. Sales take off slowly in this stage. The need is to create awareness, not profits. The second stage is growth. In this stage, sales take off, the market knows of the product; other companies are attracted, profits begin to come in and market shares stabilize. The third stage is maturity, where sales grow at slowing rates and finally stabilize. In this stage, products get differentiated, price wars and sales promotion become common and a few weaker players exit. The fourth stage is decline. Here, sales drop, as consumers may have changed, the product is no longer relevant or useful. Price wars continue, several products are withdrawn and cost control becomes the way out for most products in this stage. Allowing for much better “troubleshooting” when field problems arise. This is accomplished by laboratory testing and reliability testing documentation. PLM considers not only the four stages of a product’s lifecycle but all of the work prior to marketing and sales AND disposal after the product is removed from commercialization. With this in mind, why is PLM a necessary business technique today? Because increases in technology, manpower and specialization of departments, PLM was needed to integrate all activity toward the design, manufacturing and support of the product. Back in the late 1960s when the F-15 Eagle was conceived and developed, almost all manufacturing and design processes were done by hand. Blueprints or drawings needed to make the parts for the F15 were created on a piece of paper. No electronics, no emails – all paper for documents. This caused a lack of efficiency in design and manufacturing compared to today’s technology. OK, another example of today’s technology and the application of PLM. If we look at the processes for Boeings DREAMLINER, we see the 787 Dreamliner has about 2.3 million parts per airplane. Development and production of the 787 has involved a large-scale collaboration with numerous suppliers worldwide. They include everything from “fasten seatbelt” signs to jet engines and vary in size from small fasteners to large fuselage sections. Some parts are built by Boeing, and others are purchased from supplier partners around the world. In 2012, Boeing purchased approximately seventy-five (75) percent of its supplier content from U.S. companies. On the 787 program, content from non-U.S. suppliers accounts for about thirty (30) percent of purchased parts and assemblies. 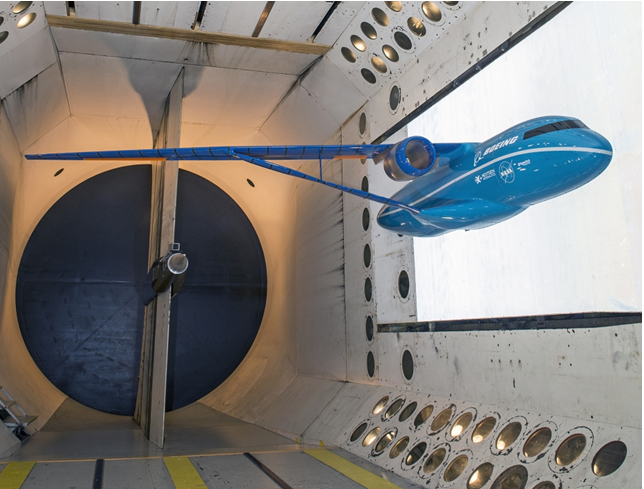 PLM or Boeing’s version of PLM was used to bring about commercialization of the 787 Dreamliner. Data for this blog is derived from NASA TECH BRIEFS, “Changing How We Fly”, June 2012, Vol. 36, Number 6. I would like to address only one area of investigation with this paper, “green aviation”. When we talk about green aviation, we address our responsibility for the impact of aviation on the environment, which includes carbon footprint, other emissions and last but certainly not least, noise. Last year, ASTM International published new rules overseeing the specifications for jet fuel allowing the use of biofuels on all commercial flights. The revision to standard D7566, “Specification for Aviation Turbine Fuel Containing Synthesized Hydrocarbons”, includes requirements for synthetic fuel components manufactured from hydroprocessed esters and fatty acids ( HEFA ) produced from renewable sources. This standard allows new components to be manufactured from jatropha camelina, and fats, combined with conventional aviation jet fuel. These synthetic fuels must be able to function in desert heat or in cold temperatures up to 40,000 feet. The Boeing Company has been leading the push for approval of synthetic paraffinic kerosene (Bio-SPK) jet fuel and is testing algae and camelina-based fuels. France-based Airbus is helping to develop a second-generation of biofuels, known as biomass, which will avoid competing with food resources. Boeing recently flew the world’s first commercial airplane from Everett, Washington to Paris using biologically derived fuel. The 747-8 Freighter’s four GE GEnx-2B engines were powered by a blend of 15 % camelina-based biofuel mixed with 85% traditional kerosene fuel ( Jet-A). There was no need to make changes to the airplane, its engines, or operating procedures to accommodate the biofuel. I think this is truly fascinating. There also were significant reductions in carbon dioxide and NoX emissions resulting in carbon footprint reduction for the aircraft. A recent report indicated the carbon dioxide emissions from aircraft engines is approximately 20% more than previously thought. These emissions could hit a whopping 1.5 million tons by 2025. Far more than the worst-case predictions of the International Panel on Climate Change. If you’re looking to put that number in perspective, the European Union currently emits 3.1 billion tons of CO2 annually– that’s the entire 27-nation, 457 million person EU. The report, “Trends in Global Aviation Noise and Emissions from Commercial Aviation for 2000 to 2025,” is among the most authoritative estimates of the industry’s growth in emissions. It was produced by the U.S. Department of Transportation, Eurocontrol, the Manchester Metropolitan University and the technology company QinetiQ. They used a variety of models to calculate current fuel use, then projected out to 2025 based on these findings and anticipated increases in air travel. Their assessment, if correct, certainly indicates changes are necessary to bring about modifications bringing down CO2 and NoX emissions. GE, Boeing, Airbus, Pratt & Whitney and other manufacturers of airframe and engines are definitely on the correct path to aid efforts in accomplishing this task. In short—THIS PROBLEM WILL NOT GO AWAY AND BIOFUELS SEEM TO BE ONE ANSWER TO THE PROBLEM. I mention this to indicate you will be hearing additional information in the upcoming weeks and months, so don’t be surprised when these remarkable advancements occur.